Weeping cherry trees are beautiful, flowering trees with long tapering branches similar to a weeping willow. 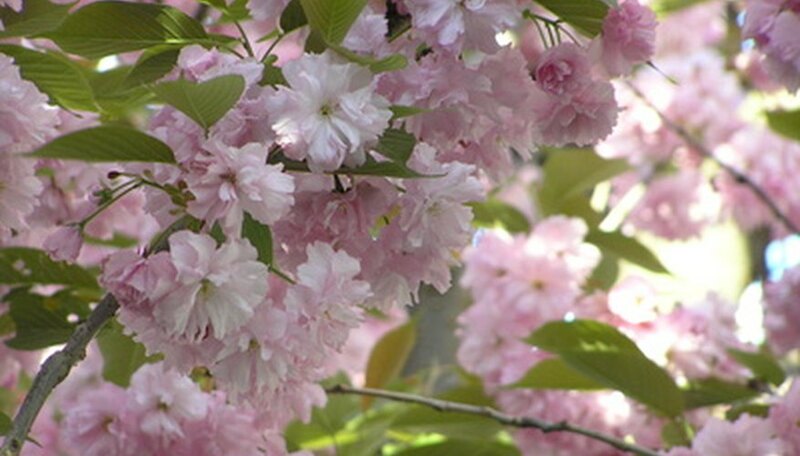 They bloom in the spring, just like other cherry trees, with little pink or white flowers, depending on the variety. They prefer moist soil that is well-draining and do best near a water source. The Autumnalis reaches a height of around 30 feet and is usually a straighter tree than other weeping cherries. This tree prefers moist soil that drains well, and it is susceptible to fungus diseases because of its typical damp locations. It has double blooms that are a more vibrant pink. They come out not only in the spring, but also in the fall. The fall blooms do not appear all at once, but come randomly. The branches of this tree are easily damaged in storms, but the tree itself tolerates cold weather well. The Pendula grows to around 40 feet high and will have branches that drag on the ground while it grows up. This is because the branches grow more quickly than the trunk. Because of this issue, you will need to trim the limbs up to keep them off the ground and away from potential diseases. Flowers are a light pink that come out in early spring. Grow in rich, draining soil for best results. Unlike other varieties, the Snow Fountain only gets to around 15 feet tall. This makes it a good choice for compact gardens or small yards. The tree prefers rich, damp soil, but doesn't require as much water due to its size. Blooms open in early spring, but they are white instead of the cherry tree's signature pink. It is more resistant to diseases than most other cherry trees. Ohio State University Extension: Prunus Subhirtella "Pendula"
What Is the Time of Year to Prune Thunder Cloud Plum Trees?